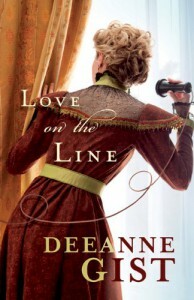 While Deeanne Gist is one of my favorite authors, this book was not among my favorites. It was a decent story and I enjoyed the setting, but it the excitement was lost on the overload of facts about telephones and birds. That being said, I still love this author and look forward to more of her work.